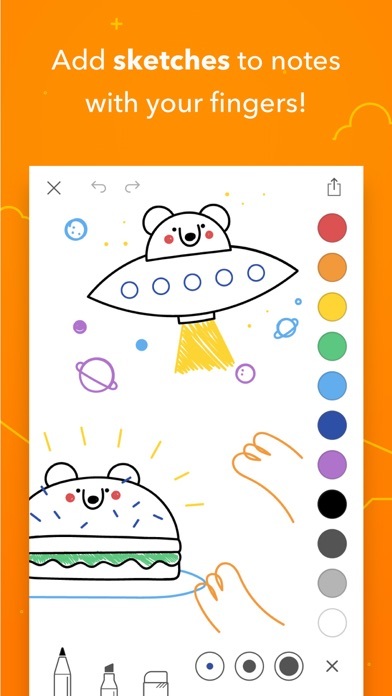 IOS App Developer: Shiny Frog Ltd.
Bear is so easy to use yet I keep finding more features that help me organize my growing body of notes, including cross-referencing with easy link methods. However I wish iOS had copy and paste using RTF. Wonderful design. Trust me. I'm an animation director and motion designer. Also it's flexible with perfect utilities available but for pro subscribers and when you paid. But it's so useful and has comfortable nice Harmony user friendly UI. Note that there s no any sync way for Windows users unless icloude for Windows (or web) that is for pro users and exporting way then transfer to your PC. I know it's the weak point for an note manager app but developers promises that release a web base API soon and I hope success for them. But if you use Mac there's no any problem for syncing notes. Next weekness is the themes. They re for sale and not free. I'm not judge developers, it's a business but sometimes some super users came from hell lands like me from a forbidden country on the middle of sanctions, middle of nowhere. I can't pay even if I want to buy pro version and it's hopeless. 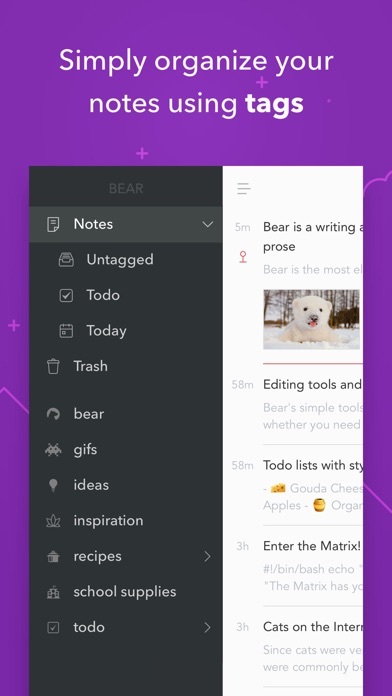 At the end Im useing bear and it's my first choice after checked OneNote, notes, Notebook, Evernote, etc PS: it's not customisable. There's no themes and it works better for Mac users. This simple, elegant tool helps me write more and better because of its allure and ease of use. It has plenty of power, but it does not get in the way. Also, I love the append feature. I can grab ideas from all over and build them into a single note without worrying about losing a thought. And its synchronization across iPhone, iPad, and MacBook is rock-solid, stable, and instantaneous. Bear is awesome! Great notes app- needs password protection! I love using it, and the way it’s laid out. I just need password protection! I hope the update with that is coming soon and then it’s 5 stars! It’s wonderful app. Use it every day. But...please, add a opportunity to write a toggle lists. Thank for you app! This might be a nice app, but the fact that this forces me to pay for a subscription to use iCloud (that I’m already paying for) is not cool. I’m willing to pay for the app, but paying a subscription to use another subscription makes this app a hard pass. I ❤️ this app! 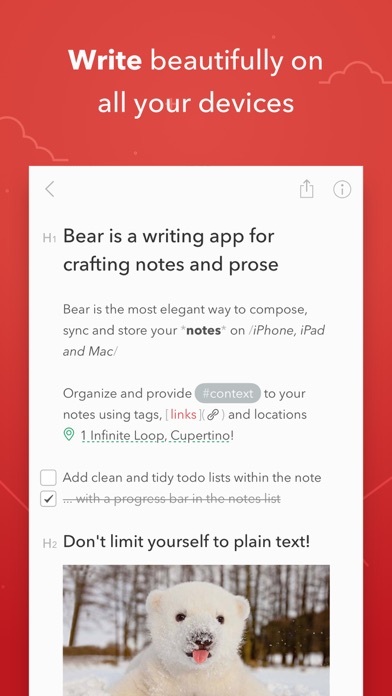 I go to church and taking notes on Bear is super easy! 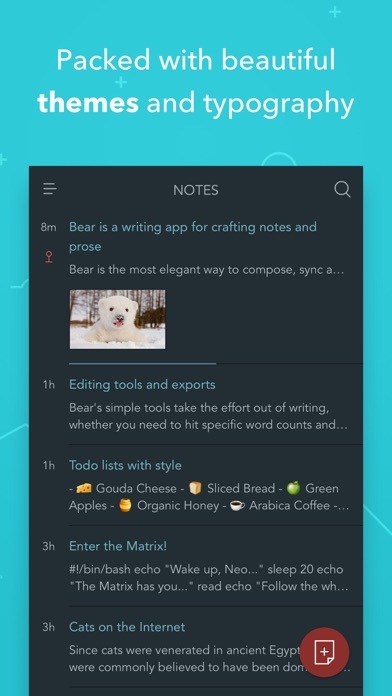 I suggest this app for all of the people who love to take notes. I didn’t replace Evernote because of the increasing price, I did it because the interface was getting more cumbersome by the day. Like so many things, trying to be everything to everyone made it lose its focus. I think it’s a great piece of software but it’s lost it’s simple elegance. Enter “Bear” the definition of simple elegance. I was resistant at first but once I grabbed it from the App Store and realized all that was beautifully hiding behind the seemingly too simple user interface, I was totally hooked. 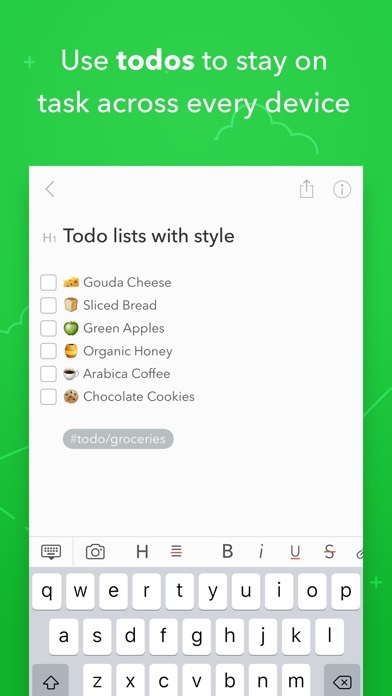 It does anything you want it to do from simple note taking, to markdown, to import export, you name it. The simplicity and grace of the hash tag system alone is worth giving it a shot. More IOS Apps by Shiny Frog Ltd.